Creobroter gemmatus is a mantis which uses flowers to camouflage and catch insects which are wandering around looking for nectar. 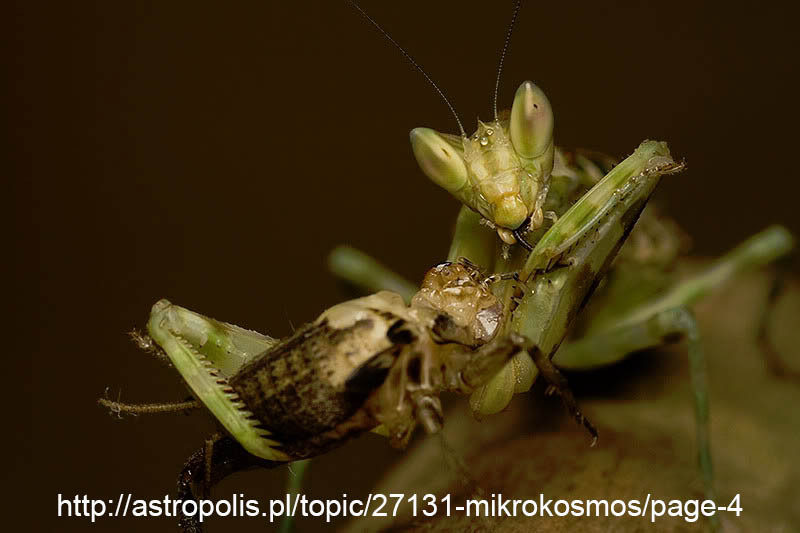 Some of my regular readers will remember the devil's flower mantis which exhibits similar behavior. 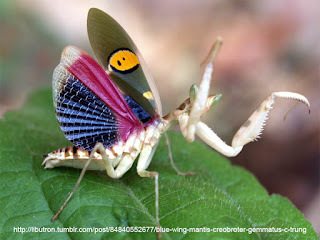 This one is called the Jeweled flower mantis due to the weird jewel like marking on its wing. I think the marking is cool so it gets a post as a bizarre creature. There is not much else interesting about it. The jeweled flower mantis can be found throughout South and South East Asia.